The Super Nintendo will forever be remembered fondly -- not only by those who had one during its lifespan but by retro gamers and 2D game fans for decades to come. 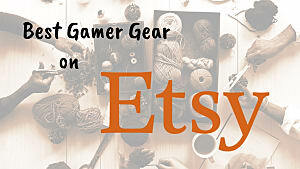 Its game library is revered as one of the best, packed with lengthy RPGs and high quality action titles that are still gaming staples today. 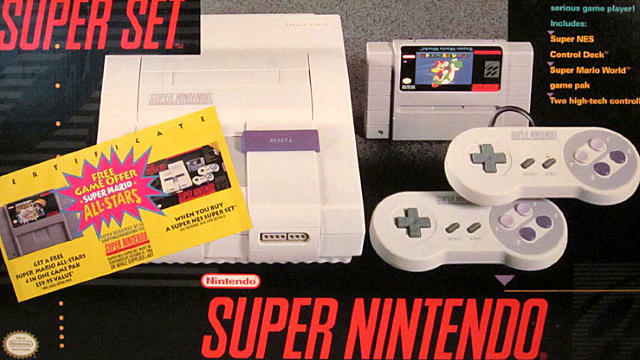 On August 23rd, 1991 the Super Nintendo hit the North American market with a mere five launch titles: SimCity, Gradius III, F-Zero, Pilotwings, and the still-coveted Super Mario World. 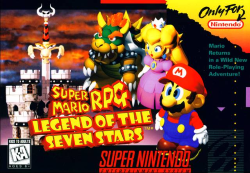 While not the largest of launch line ups, these games continued to be popular throughout the console's lifespan -- and you'll be hard-pressed not to find a SNES owner without at least two of them in their library today. The early to mid-90's was an exciting time to play video games as a kid. 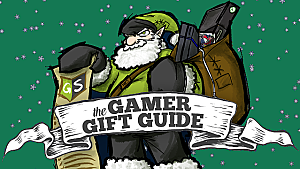 Gaming magazines were plentiful and were always packed with strategy guides and new info on upcoming hyped titles, the console war between Nintendo's SNES and Sega's Genesis was going strong, and incremental graphical upgrades made a world of difference. 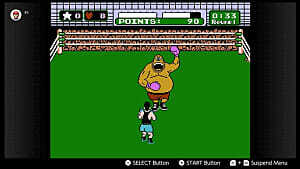 Gaming culture during the Super Nintendo's hey day was a different beast from what it is today. You don't have to miss it to appreciate the games that came out at the time, but it certainly helps. 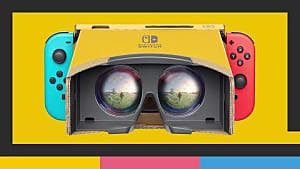 Today during its 25th anniversary I urge you (even my fellow Sega kids) to hook up your console, load up your preferred emulator, or hop onto the Wii U Virtual Console to give the Super Nintendo the attention deserves. The 10 games below may not be talked about the most, but some are bound to fall through the cracks when a console has as many good games as the SNES did throughout its lifetime. 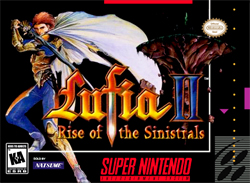 Between the two Lufia games on the SNES, Rise of the Sinistrals is by far the better game (and a prequel to the first). Its Zelda-esque puzzles and dungeons aren't particularly difficult, making this a great starter JRPG for newcomers -- and its overall quality and fun-factor make it a fun adventure even for seasoned veterans. If you haven't played this oft-overlooked gem, you should. 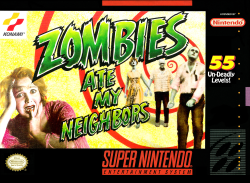 Still one of my co-op go-tos, Zombies Ate My Neighbors isn't a SNES exclusive, but it's still a bundle of fun. Equipped with your trusty water pistols, you and (hopefully) a partner have to push through dozens of increasingly difficult and creatively-designed levels to survive the hordes of horror movie-theme monsters and just maybe save your lazy, oblivious neighbors. 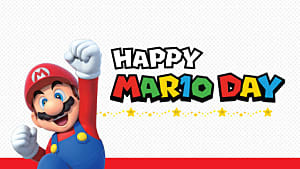 You may hear about this one from time to time, but Mario fans tend to bring up the later-released Paper Mario 64 and Paper Mario: The Thousand Year Door more often. 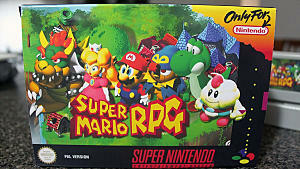 Nonetheless Super Mario RPG, developed by then-powerhouse Squaresoft, is such a well-made blend of turn-based RPG, humor, and amazing music it's impossible not to recommend to anyone who loves Mario or is interested in good SNES RPGs. 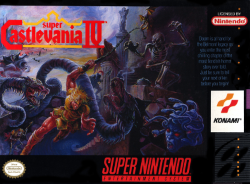 This may be a retelling of the original NES Castlevania, but Super Castlevania IV is still heralded as one of the best in Konami's long-running series. With 8-directional whipping action for combat and platforming, a number of other weapons, iconic music and a slew of frustrating and difficult bosses, it's easy to see why this is still regarded so highly among the wealth of Castlevania titles we've gotten over the years. 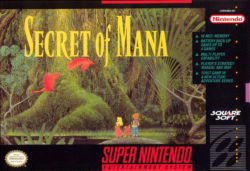 Another classic Squaresoft title, Secret of Mana still stands as one of the most memorable action RPGs on the SNES and its gameplay holds up today (though in some respects it is a little slow). This game is definitely an adventure and it sets the stage for the rest of the Mana series. The beginnings of Mana lore and ring menu-based skill/item usage get fleshed out here, and it's wonderful progressing playing both solo and with up to two friends. Say what you want, but there were a lot of great Disney license games during the SNES/Genesis era -- and this is definitely one of them. 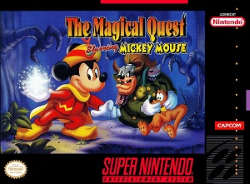 The platforming here is a bit slower than some better known titles, but it's solid as can be and the game's outfit system in which Mickey's abilities change based on outfit keeps things interesting and fun. This isn't the absolute best Disney game of the era but it is definitely up there and it's a blast. Did you expect Kirby Super Star? 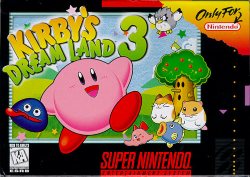 Kirby Super Star is an amazing game, don't get me wrong -- but people tend to forget the third Kirby's Dreamland game is on the SNES, much less exists. This iteration of the series improves on its predecessors in every way, from controls and pastel drawing-style visuals down to the array of abilities Kirby can acquire. 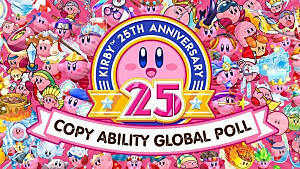 Not only that but Kirby can make friends with six different animals, each with different abilities that change up the gameplay significantly. All in all one of the most charming on this list. 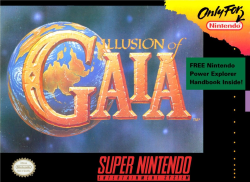 An oft-forgotten gem of an RPG, Illusion of Gaia takes much of what were staples of the genre at the time and tosses them aside for its own systems. Gone are EXP and equipment, instead are incremental stat increases, rare healing herbs, and a huge emphasis on story. There really isn't much bad to be said about Illusion of Gaia except the official North American version skips much of the controversial dialogue and themes seen in the original Japanese release. Another RPG worthy of being mentioned 20 years past its prime, Terranigma is actually the second in a spiritual trilogy, of which Illusion of Gaia is the third game (the second being Soul Blazer). 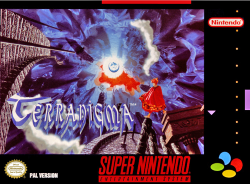 Terranigma is generally considered the best of the three, if not one of the best games on the console. It's top-notch in pretty much every regard and is loads of fun to boot. The only problem here is there was never an official North American release -- luckily both Europe and Australia saw this beauty released in English. Smash TV found its way onto a lot of consoles with Super Smash TV on the SNES and Genesis being the graphically superior options. No matter what it looks like, it's downright fun. 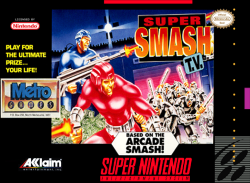 A twinstick shooter without a single crap to give, Super Smash TV on the SNES is a brutal exercise in your ability to stick it out and shoot'em the hell up through a sadistic gameshow packed with high-tech surprises (thanks for the VCR) and more baddies than you'll know what to do with. It's amazing fun solo but even better with a friend, but don't come in expecting something deep. This is arcade-style fun through and through. As mentioned before these may not be the first games you think of when you imagine the Super Nintendo library, but that does not demerit these games. The SNES was packed to the brim with games good and bad, and it had a staggering ratio of good to bad titles. 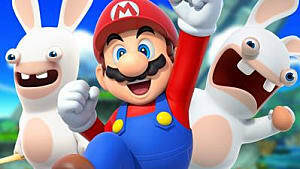 In a time where investors and research groups dictate what's to come and mainstream gaming is all but homogenized, it's an ironically fresh breath of air to sit down and play older titles that tried all the new things they could with the technology available or attempted to perfect the art of their respective genres, all the while maintaining that fun factor that not only made these games fun at release but keep them entertaining over 20 years later. That's what makes retro games live on today, and that's exactly why classic and 2D gaming will never die.